The private roads of Christchurch International Airport will be the site of the first on-road research trial of a fully autonomous electric vehicle (AEV) in New Zealand. 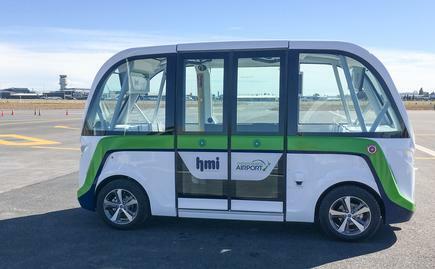 The AEV trial will start in the next few weeks, but Christchurch International Airport unveiled this week the Smart Shuttle. The vehicle, manufactured in France, can carry up to 15 people, has no steering wheel and is electric-powered. Malcolm Johns, Christchurch Airport CEO, says the airport team is keen to understand how autonomous shuttles might operate at Christchurch Airport and how people may react and interact with them. HMI Technologies is New Zealand’s leading Intelligent Transport System (ITS) provider. 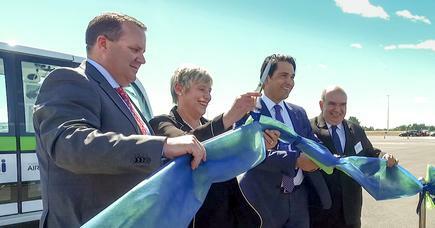 Dave Verma, director of Australasian Driverless Vehicle Technologies, explains the company's involvement in the trial. “Firstly as an intelligent transport systems innovator, our R&D and business development teams will get vital hands-on experience. We also hope the trial will prove the efficacy of autonomous vehicles to commercial operators like Christchurch Airport, and to government decision makers. Additionally we want the New Zealand public and students to have the opportunity to participate and provide feedback on the experience. “HMI sees that the AV vehicle technology is emerging at a rapid pace and there are opportunities for New Zealand to be at the forefront of this technology. We are an established operator and innovator in the intelligent transport systems industry, so are well positioned to be an early adopter and facilitator for trials and commercial applications." Key partners in the research include the University of Canterbury, Christchurch City Council, New Zealand Transport Agency and Ministry of Transport. Developing knowledge and expertise relating to the development and operation of autonomous vehicles and the associated technologies.